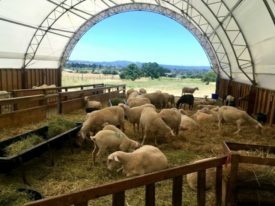 Berkeley, Calif. — The Ecology Center Farmers’ Markets, a program of the Ecology Center, are eliminating all plastic bags and packaging from their three weekly markets, making them the first in the nation to do so. The goal of the markets’ “Zero Waste” campaign is to remove, reduce, and recycle plastic and to recycle and compost all materials generated at the markets. 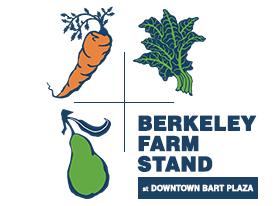 In conjunction with Berkeley’s Earth Day Celebration, the Saturday, April 25 market will hold a Zero Waste Event from 10 am-3 pm on Center Street at Martin Luther King, Jr. Way. Single-use high-density polyethylene (HDPE) bags pose significant problems to the environment, wildlife, and human health through their production, use, and disposal. They can take from 400 to 1,000 years to break down, and their constituent chemicals remain in the environment long after that. Made from crude oil, natural gas and other petrochemical derivatives, an estimated 12 million barrels of oil are needed to make the 100 billion plastic bags Americans use annually — more than 330 per person per year, according to Worldwatch Institute, an environmental watchdog group. Most plastic bags are thrown away, clogging landfills, and, with less than one percent of plastic bags recycled, many enter the water ways eventually killing animals that ingest the plastic debris. The Ecology Center Farmers’ Markets are now designated as “Zero Waste Zones” in which customers and vendors are expected to make every effort to eliminate waste to landfills. The markets encourage shoppers to bring their own cloth bags and previously used paper and plastic bags. Vendors selling prepared foods will be required to use compostable packaging and utensils. 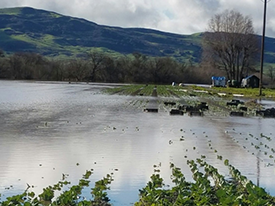 In addition, with support from a grant from the Alameda County Waste Management Authority, the Ecology Center has purchased compostable bags, made from renewable resources, which will be made available to vendors at half price. At the recommendation of an advisory committee and staff, the board of directors of the Ecology Center approved a new policy to ask farmers to charge customers 25 cents per bag. The Ecology Center hopes that a fee charge for the renewable bags will allow farmers to recoup theirs costs and encourage customers to bring their own bags. These same renewable bags can be added to the residential food scrap composting program, used as liners for kitchen food scrap containers, and returned to customers as compost during the markets’ free compost events. The Boulder, Col. Farmers’ Market was the first in the nation to initiate a Zero Waste campaign, focused on not generating waste by reducing and recycling plastic bags and packaging. In California, both the Monterey and Irvine Farmers’ Markets have phased out plastic bags, but not plastic packaging. The Santa Monica Farmers’ Markets are working to phase out the use of plastic bags and have a Zero Waste program implemented at half of their weekly markets, which requires all prepared food vendors to use packaging which is either compostable or recyclable. In addition, the San Francisco Ferry Plaza Farmers’ Market is working to phase out plastic bags. In 2007, San Francisco became the first major U.S. city to ban plastic grocery bags, and officials in Austin, Texas, Seattle, Phoenix, and Portland, Ore., have considered similar policies. Countries including Ireland, South Africa, and China have limited the free distribution of plastic bags, leading to a sharp reduction in the number of bags in circulation.